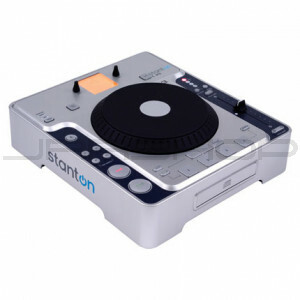 The C.313 is Stanton's new workhorse tabletop CD player with MP3 functionality. The large jog wheel makes cueing tracks easy, while a 10-second anti-shock buffer eliminates embarrassing CD "skips." The affordable C.313 even comes with digital features like Key Lock, seamless looping and four sample trigger buttons.